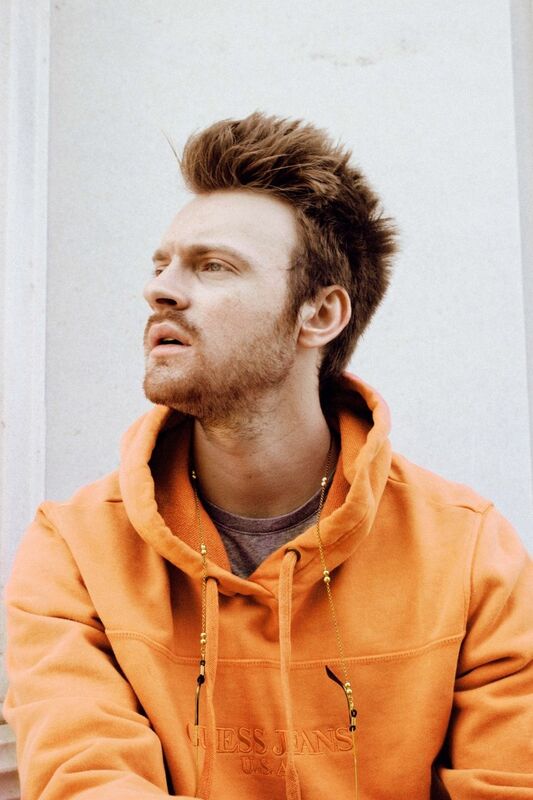 Chances are, you've already become familiar with Finneas O'Connell, who performs and records music as FINNEAS. But now, Finneas is ready to take the reins and execute his own vision — no shade to sister Billie, of course. "I've loved every minute I have [so far] spent recording, writing, and playing with my sister," Finneas tells PAPER. "She's so talented it blows my mind. She's taught me so much about how to be a true artist, and how to execute your vision and really be an incredible performer." Hot on the heels of his first single, "New Girl," comes new tune, "College," a brooding, mid-tempo response to an ex who posted a shady thread about him on Twitter. "When my high school girlfriend moved away to college, we promised each other we'd make it work somehow, but we were young and naive and it fell apart," he says. "It was all for the best I think... A couple months later though, I'd started seeing someone else when I stumbled across a thread of vitriolic posts and tweets not naming me, but clearly aimed my way. I wrote this song as a response. A little petty, but so is the entire Internet." Point well taken. Plus, Finneas has another message: only the real can relate. "Any song I'm going to put out under my own name has to really feel like it's 100 percent authentic to who I am as a human being and what I've been through in my own life," he says. "[Making music] it's my favorite form of therapy. If other people relate, that's icing." Cue the PAPER premiere of "College," below. FINNEAS and Billie also recently launched their own Beats 1 show, Groupies Have Feelings Too, which you can stream here.